Hi Friends! The new Stampin’ Up! catalog will be premiering in just about SIX WEEKS! Man, time flies! I want to let you know about two major product changes so you have time to order important items before the changes take effect. Order your Stampin’ Trimmer replacement items NOW before they are gone for good. However, we will offer new dies and embossing folders in the 2019–2020 annual catalog. Since we’re using a new supplier, the dies and folders will be manufactured differently; this means the way you use the new style of dies and folders will be a little different than how you used the old style. Both the new-style and old-style dies and embossing folders can work with any die-cutting & embossing machine. Order your Sizzix accessories now! Here is some design inspiration for you! All items are from the current Occasions Catalog!! ← New Month! New Reward Code! 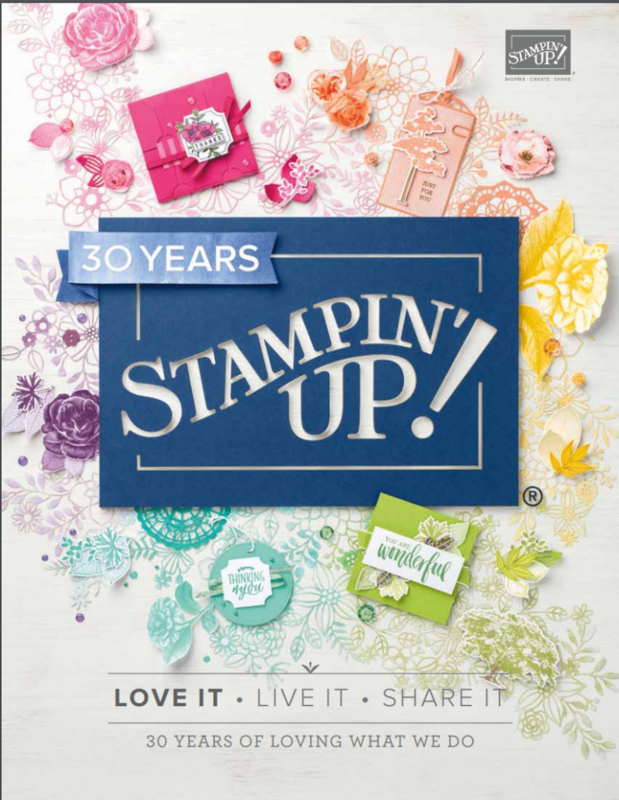 New Products from Stampin’ Up!